Vanessa Hudgens takes on dual roles in a first trailer for "The Princess Switch." The 29-year-old actress and singer portrays two characters, Margaret, the Duchess of Montenaro, and Chicago baker Stacy, in the Netflix holiday movie. "The Princess Switch" follows Margaret and Stacy as they switch lives after a chance encounter. Margaret falls in love with Stacy's co-worker (Nick Sagar), while Stacy romances Margaret's beau, Prince Edward (Sam Palladio). Netflix promoted the film in a tweet Wednesday on its See What's Next account. The movie premieres Nov. 16. 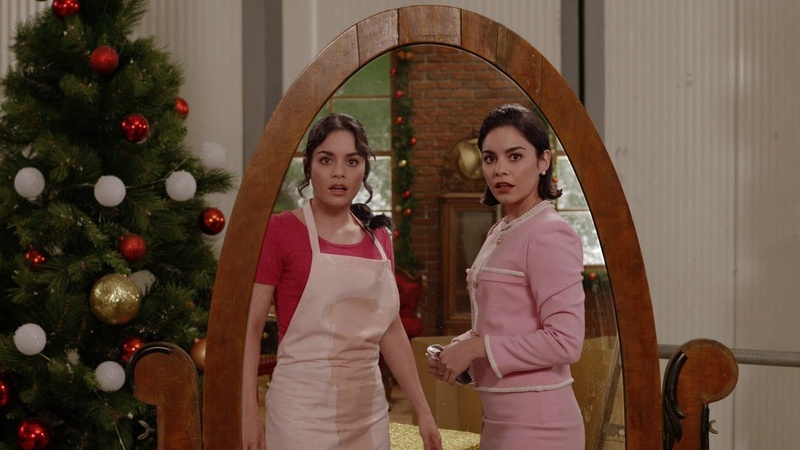 "Vanessa Hudgens and **checks notes** @VanessaHudgens star in our doubly charming holiday movie 'The Princess Switch,' premiering November 16," the post reads. Hudgens and her co-stars finished filming "The Princess Switch" in June. "Did someone say a royal wedding????? that's a wrap on THE CHRISTMAS SWITCH coming to you this holiday season on @netflix," Hudgens wrote on Instagram. "so excited for you guys to see this one." Hudgens is known for playing Gabriella Montez in Disney Channel's "High School Musical" films. She has since appeared in "Spring Breakers," "Machete Kills," "Grease: Live" and the NBC series "Powerless."